BVK reels are precision machined from bar stock aluminum. The clear silver anodized frames and spools are ported to eliminate excess weight. 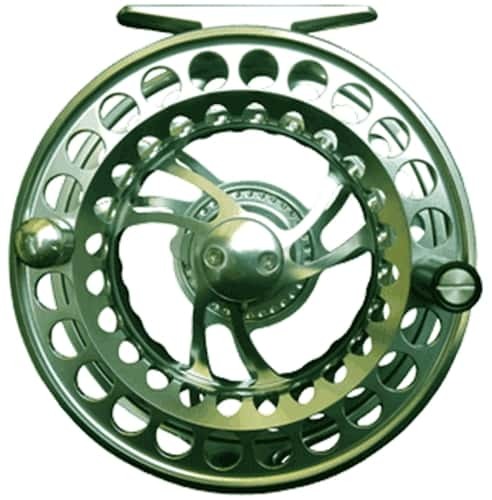 Equally at home in both fresh and salt waters, the super large arbor design provides faster line pick up and helps the maintenance free drag system work at a more constant pressure that standard arbor reels. Delrin/Stainless stacked discs make the drag silky smooth and the one way clutch bearing makes engagement instant and left to right hand conversion simple. BVK IV reels are available in moss green only.